Will Sessions is a collection of musicians from Detroit who have built their following through constant shows around the city and late night dance parties. For The One the group wrote and collaborated with vocalists Amp Fiddler and features the Dames Brown singing backups. The band Sam Beaubien: Trumpet/Keys, Bryan Arnold: Drums, Jason Bonaquist: Drums, Tim Shellabarger: Bass, Ryan Gimpert: Guitar, Eric Kacir: Percussion, Matt Martinez: Trombone, Jimmy Smith: Trumpet, Justin Jozwiak: Sax are rock solid professionals who are lock step tight recalling late 70's funk excursions. Opening with popping bass of "What It Is?" The group throws down it's Funkadelic inspired party jam right from the first note. That P-Funk get down influence is clearly noticeably on all the tracks like "Rendezvous" and while P-Funk are the pinnacle of the field where Will Sessions make their mark, the players are also adept at shifting the sound so they are more than just followers. Tracks like "Lost Without You" and "Reminisin'" amp up the disco sheen to go along with the funk, putting a roller skating rink swirl around the strong sound; both tracks sound straight from 1978. The group expands layers of strings on many of the tracks as well, and the most tasteful usage of that accompaniment arrives on "Belle Isle Drive". The gorgeous horns, guitar tone and bass runs are expertly produced and shine on the record. 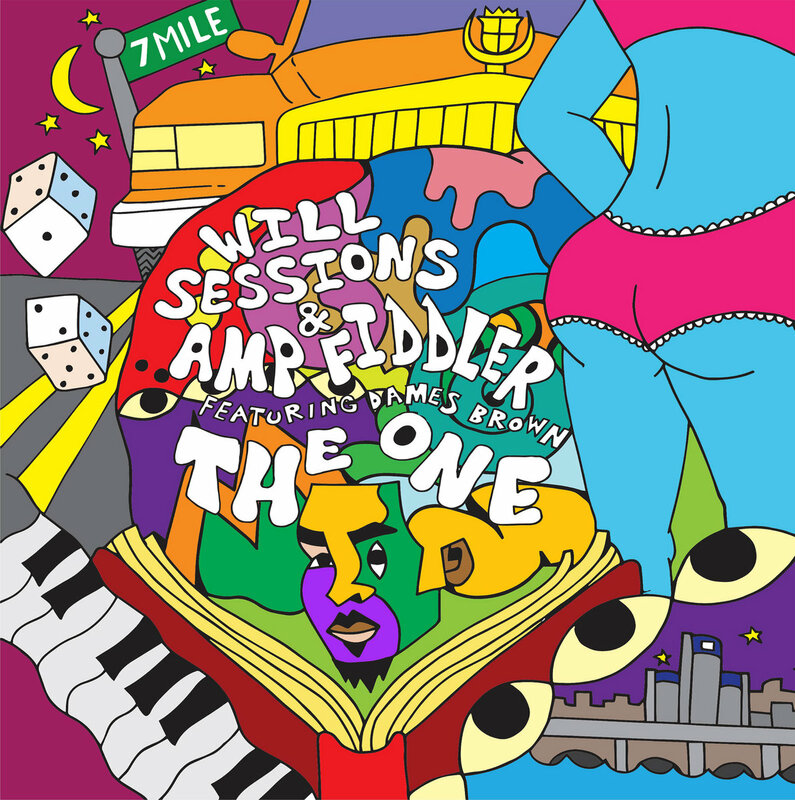 The Will Sessions players have their sound crafted perfectly, such as on the blaxsplotation soundtrack sounding "Seven Mile", the soulful funk of "Who I Am"(highlighted by Dames Brown's vocals) or restrained closer "Reconcile" which showcases some skittering drum work. There isn't a misstep on any one of the eight songs presented here, but also there isn't a must hear single, as The One is more successful as a mood piece of an era of funk gone bye. Funk is one of the harder genres to fully capture on record as the experience of dancing and grooving is essential to the experience but Will Sessions along with Fiddler and Dames Brown have crafted a full length worthy of your time as The One recalls greats from the genre's past and fresh sounds of it's possible future.